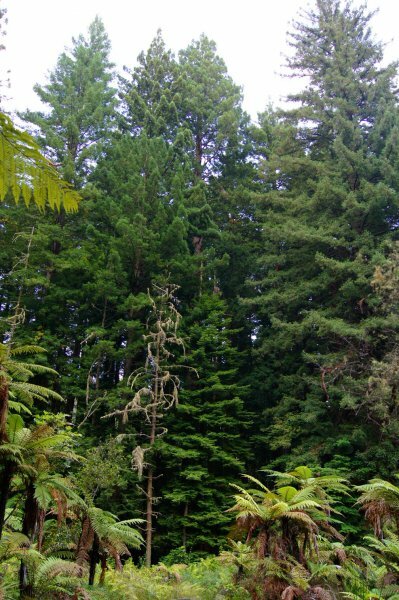 The Redwood Memorial Grove, in Whakarewarewa Forest, has long been noted as having the best examples of coastal redwood outside of its natural range. Burstall noted that the tallest tree in the grove was measured at 62.4 m in 1981. Noted redwood experts Steve Sillet and Bob van Pelt measured a tree 224 feet (68.3 m) in 2009. 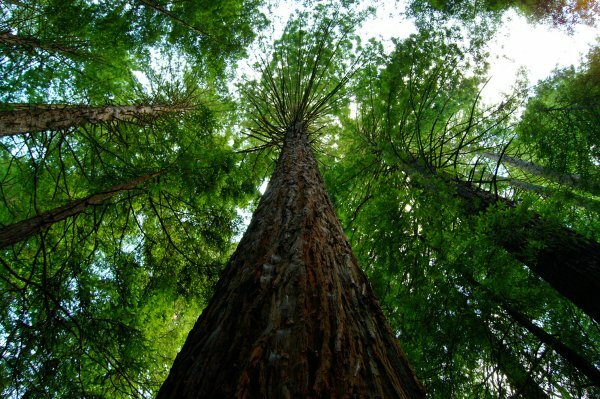 The official website for the grove notes the tallest tree as being 67.1 m tall and 169 cm diameter. Measuring heights is problematic in most of the grove, due to the tall secondary growth beneath the original trees planted in 1901. However, near a clearing surrounding a spring/swamp some height readings are easily obtained. The tallest tree adjacent to the swamp measured was 68.7 m tall. The location and height are consistent with a 68.4 m/187 cm dbh tree noted by van Pelt in 2009 however the dbh of this particular tree was recorded as being 205 cm in 2013. Van Pelt recorded two other trees at the time as being 68.1 and 68.0 m in height (Smillie, M.J. 2013). Go to group listing BPR/G0936 to read the fascinating history of the development of this forest. Measured from boardwalk crossing the swamp level with the base of the tree. 67.2 m reading plus 1.5 m eye height. On the Redwood Memorial Grove track. On the other side of the clearing from the labelled Mary Sutherland tree. The tree has a species label in front.